The “Pizza Box Top” campaign was done in collaboration with Main Street Pizza in Kings Park, MeMa’s in Commack; Mamma Sabaro’s in Hauppauge; and Buona Sera in Smithtown on March 8, 2019. Approximately 1,900 stickers were adhered to carry out bags from the pizza parlors. Participating pizzerias’ were recognized for their help in combating the buying of alcohol to minors. Alcohol is the most widely abused drug used by young people. 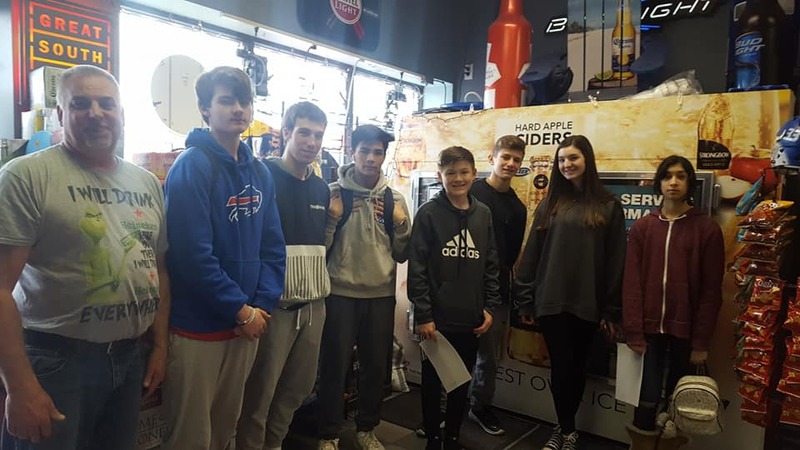 The youth volunteers attended a planning meeting before each of the events, where they learned about the dangers of underage drinking, the Social Host Law, the Good Samaritan Law, and the Suffolk County Police Department Cancel the Keg Hotline. The goal of the annual campaign is to bring attention to the issue of underage drinking and remind adults of the consequences of providing alcohol to minors. For more information on these and future youth empowerment programs contact Kelly DeVito at Smithtown Horizons Counseling & Education Center at (631)360-7578 or Stacey Sanders at Smithtown Youth Bureau at 631-360-7595.